Technology continues its relentless march and continues to impact on photographers and photojournalists. Zeiss is working on interchangeable lenses for iPhones. 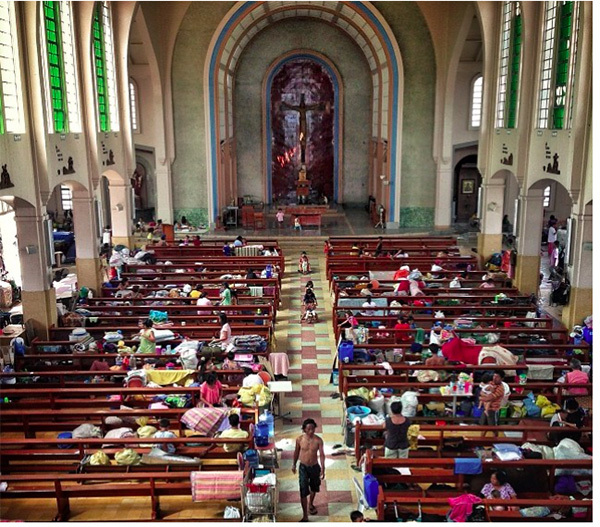 Instagram builds networks for photographers in the field. February 13, 2010. Marjah, Afghanistan. A troop-carrying helicopter drops acclaimed American photojournalist David Guttenfelder into the front lines of the then-biggest American air assault in the war against Al Qaeda. Seeing the Marines that surround him snapping photos on their smartphones, he drops his DSLR, reaches for the iPhone 3G (his first) in the pocket of his flak jacket, and begins shooting photos, hoping to mimic the intimacy of those the soldiers were sending back home. “They weren’t taking the kinds of pictures that I was taking, news photography; they were photographing their own life and this huge experience in their life. So I started shooting with my phone, too,” he says on the phone from the rather more peaceful “boonies of Montana,” near where he’d recently shot the Gallatin National Forest, on horseback, on a 24-day journey for National Geographic. 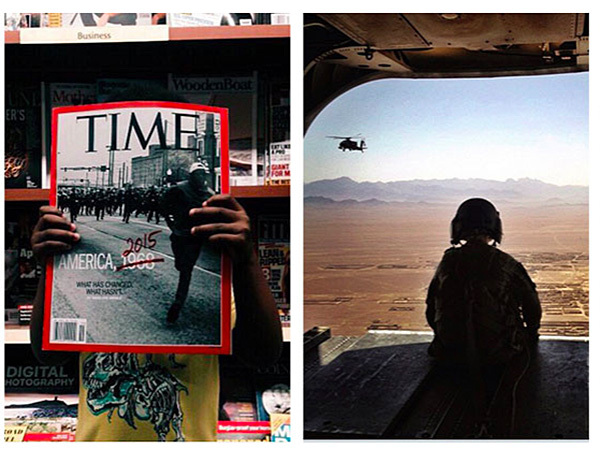 The pictures he published in 2010 were not without backlash, with major publications (like the industry bible, Photo District News) questioning whether war shot through the lens of a point-and-shoot phone disrespected, or romanticized, its gravity. In October of that same year, Instagram was launched. When Guttenfelder picked up his phone, he broke all the rules of traditional photojournalism—and, by some accounts pushed forward a medium that has been evolving since its inception. Six years later, extemporaneous documentation for journalistic use (and via selfie) has become the norm and Guttenfelder, with 854,000 followers on Instagram—the mobile image- and video-sharing app that has swelled to over 400 million users—is something of a new-tech godfather in the field. But having spent 20 years covering conflict overseas for the Associated Press, in the beginning carrying chemicals on his back, developing film in the field, and hanging it to dry on clotheslines, the photojournalist knows well the history of his craft. During World War II, photographers carried weighty 4×5 cameras and hitchhiked to rush-deliver unseen film; in Vietnam, film from Leicas and Nikons was wrapped in condoms to keep it safe from the swamps; and at the onset of Operation Iraqi Freedom, still-nascent digital photography invited massive logistics operations that used body bags to transport hundreds of pounds of gear. Now, a smartphone paired with Instagram—both a camera and a publishing platform—has freed up photographer time and stamina, and marked a shifting paradigm for documentary photography, forging new opportunities for photographers of all ilk, all over the world. “Often when disaster strikes, the first witnesses will be amateurs,” says Olivier Laurent, Editor of TIME’s photoblog LightBox. “[Traditionally] you have to get a third-party photographer that is not embedded in a community to show up when something bad happens.” But with a new band of iPhone-wielding locals, the opportunities for capturing those crucial first moments of any news story have expanded exponentially. 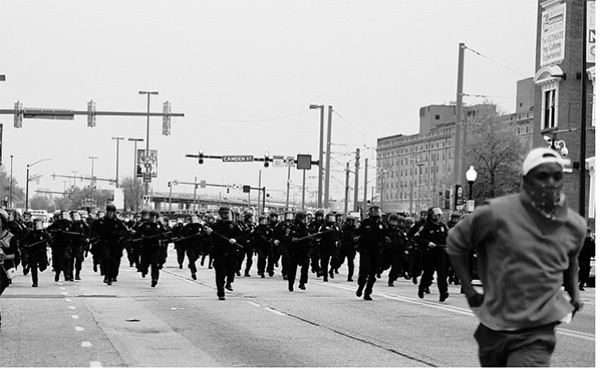 In April of last year, 26-year-old Baltimore native Devin Allen began using Instagram to document the protests that sprang up following the death of Freddie Gray, a 25-year-old black man, while in police custody. Later that month, his heart-rending portrait of a young black man being chased by a trail of armed policemen was featured on the cover of TIME. “Devin was an amatuer just documenting his own city,” says Laurent, who interviewed Allen when the images began to go viral. “Suddenly TIME was promoting the work of a guy that lives in the story; he was part of the story. He found himself in the middle of these protests because he was part of that community.” Allen quickly became a voice of the movement and is now a full-time photographer whose work has been featured in The New York Times and New York Magazine, as well as museums. 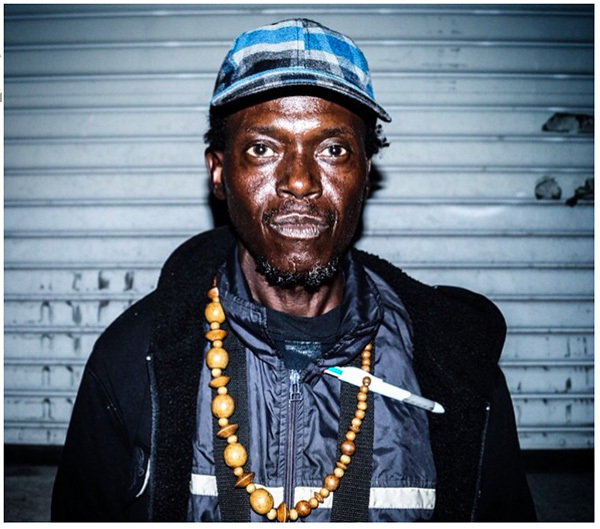 Allen’s rise from documenting his community on social media to the highest heights of photojournalism is by no means unique. 20-year-old Chilean American Pablo Unzueta was earning minimum wage working as a short-order cook at a bar when TIME featured his images documenting poverty in the surrounding streets of Los Angeles, photos he shot in response to a call for pictures of veterans via the hashtag #vetsrising. (Unzuenta continues to work at the bar to pay the bills, a situation that highlights one of the core critiques of citizen photojournalism via social media: Notoriety and impact is difficult to translate into consistent paid assignments.) Matt Black began photographing rural poverty in his hometown in the central valley of California, using census data and geolocation to put names and faces to what were otherwise only statistics around poverty. His dark-horse project was picked up by MSNBC—and soon enough he won the W. Eugene Smith Grant (photography’s Nobel Prize for humanitarian work) and was inducted as a nominee member of Magnum, the world’s most highly respected photo agency. “I look at my Instagram feed and it’s a network; I’m seeing through the eyes of people around the world,” says the image-sharing app’s Teru Kuwayama. Following two decades as a noted photojournalist, covering war and humanitarian crises in Iraq, Afghanistan, Pakistan, and Kashmir, the TED Senior Fellow now works on the community team at Instagram, specifically with photojournalists and the wider photo community. “So many eyes and so many minds are coming online and being harnessed to this grid,” he says. For Kuwayama, this collective network and its unprecedented audience serves as the greatest draw for his involvement. “It’s unlocked a totally different spectrum of reporting,” he says.